1. Majority of Yixing teapots that are produced are the basic designs which sell from between $10-15 commercially in China. 2. 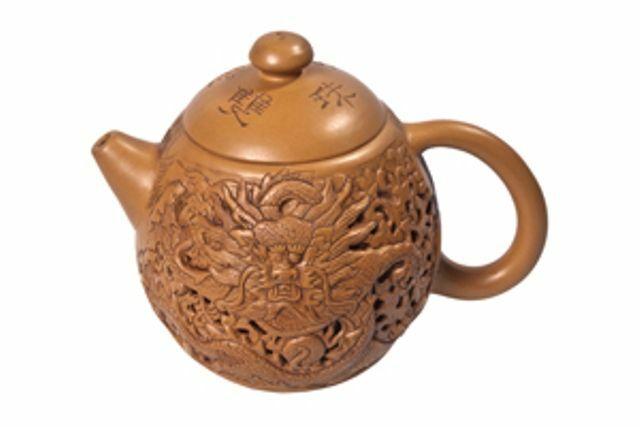 Standard teapot designs also constitute a majority of Yixing teapot productions but these are somewhat more detailed and intricate than the basic ones and usually sell for between $35-60 in China. 3. Collector teapots made by reputable artisans that have either the traditional or more modern styles could fetch between $150-800. 4. Antique Yixing teapots can cost anywhere between $3,000 – $100,000, maybe even more.